Most workplaces are dependent on electricity to some degree or another. If something goes wrong, a commercial electrician like the professionals at First Electric should be hired to take care of it. We have the best commercial electrician in the business. Workplaces may pose unique hazards to the person doing a commercial electrical troubleshooting and repair. Many offices have extremely high voltage, active machinery, and delicate fire alarm systems. Even smaller workplaces can pose some demanding challenges, because every electrical system can have unique problems. Because electrical work, especially at a commercial level, can be very dangerous, it is best to leave it a licensed electrical contractor like First Electric. At First Electric, we work quickly and safely to get your wiring and electrical work done the right way the first time. Let our lighting contractor help you with all of your commercial lighting and call of for all of your electrical repairs. 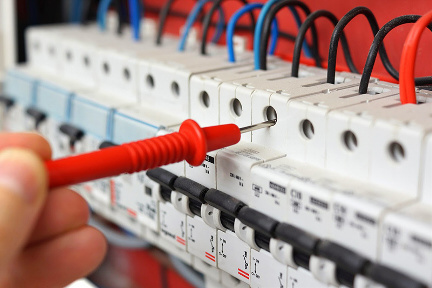 If you are experiencing any commercial electrical issues, call us today for speedy and professional service. Our dedication to excellent customer service and safety have made us the chosen electrical company of Myrtle Beach, SC. First Electric provides the best commercial electrical services in the business. If you are in need of an electrical repair service, First Electric is here to help. We will send you a skilled electrical contractor will be able to quickly diagnose your electrical issues and begin work immediately to resolve the issue. We make sure that our residential electrician service, or services for commercial electrician, and industrial electrician has gone through many years of training before being licensed to practice the trade. This is because most electrical systems can be very complex and potentially dangerous if not managed correctly. Our commercial electrical service can do any job no matter how big or small given that larger business structures contain a vast amount of electricity usage.